Dr. Rajendra K. Pachauri is a well-connected man of many hats, the weight of which has, perhaps, imbued him with a very short memory for his very own words. Writer of a “smutty” romance novel, Director of the Yale Climate and Energy Institute, Director-General of The Energy and Resources Institute (TERI), an India-based research organization, founding member (circa 2002) of the Advisory Board of the Chicago Carbon Exchange (CCX), and current member of the External Advisory Board of the CCX. Quite impressive, eh? Oh, and I almost forgot to mention (well, no not really!) the very big hat he wears as the public voice and face of the UN’s Intergovernmental Panel on Climate Change (IPCC). 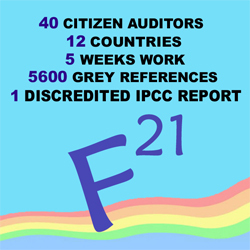 “The [IPCC] process is so robust – almost to a fault – that I’m not sure there is too much scope for error. Where there are gaps we are very candid in admitting we don’t know enough about this subject,” he said. Hold that bold gray thought for a moment, dear reader, while I digress … Apart from the fact that 5,600 is considerably more than “a limited amount”, it is worth noting that if you were to Google Pachauri +18000, you will find the rather conspicuous absence of “18000” in conjunction with “peer-reviewed” prior to the above April 20th quote. This suggests very strongly that – even if he (or his research associate) failed to read our Audit Report (except perhaps to cherry-pick without attribution) – prior to the release of our Audit, Pachauri probably wasn’t even aware of how many references there actually are in the 4th Assessment Report. 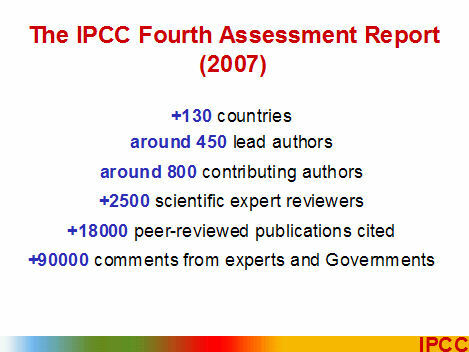 He’s also decided to use the “18,000” (in a somewhat dishonest fashion, IMHO) in his otherwise lacklustre and unprofessional copy ‘n paste powerpoint presentation to the May 14 hearing of the InterAcademy Council (IAC), which is conducting a (so-called) independent review of the processes and procedures of the IPCC. Dr Pachauri said academic work being done by bodies including the International Energy Agency, the World Bank, national governments and charities “cannot be ignored”, but had to be closely examined to make sure it was robust. Wait a minute! The media and other sections of society had “misunderstood”?! Pachauri has taken non-peer-reviewed material from his “dustbin” to someone else’s “drain” – with a brief stop at neutral en route. Was he lying then, or is he lying now? Or perhaps more to the point, does Pachauri even possess a hat which permits him to be truthful – or consistent? Can’t help wondering how Pachauri determined that the work of the former deputy director-general of the Geological Survey of India is ‘indefensible magical science’ while that of “the International Energy Agency, the World Bank, national governments and charities” has suddenly acquired the status of “academic work”. 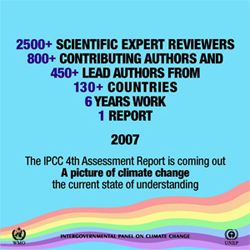 He’s certainly created quite a conundrum for the CRU crew: they want to rewrite the definition of “peer-reviewed” to keep material they don’t like out of the IPCC reports, while – at least this month – Pachauri wants to rewrite the definition to get material in. ← Defining deceit: is fudging fraudulent? Great job! His previous and potential future profiteering from AGW is criminal!